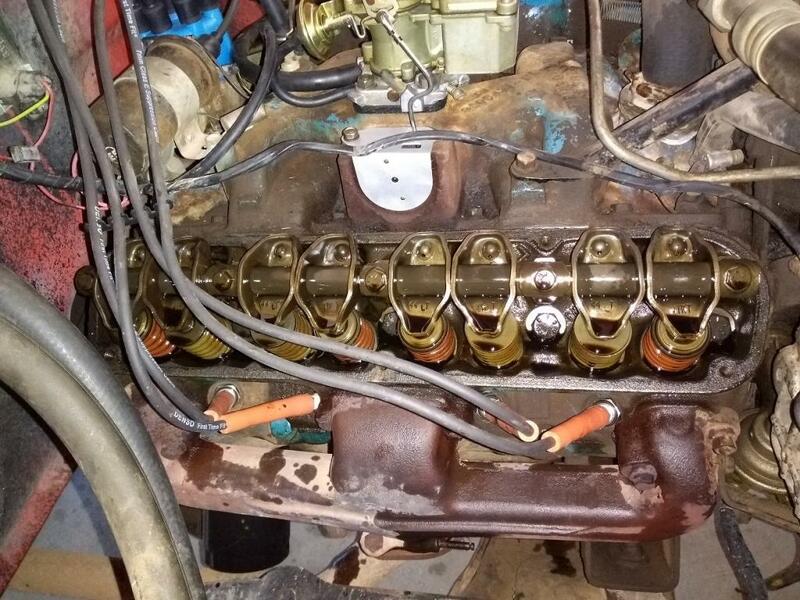 1974 Dodge 360 with 80k on it. As far as I can tell, this was the first time it's ever been opened. Exceptional, in my opinion. Everyone loves shaft mounted rockers! I like the older engines, so much more room. Testament to how good the oils are today, compared to back then. You got that right. I had both covers off in 10 minutes. No exaggeration! That's because mopar started using valve rotators on the exhaust valves, whcih requires a shorter spring (notice the difference between the retainers). So the springs are actually different between intake and exhaust, denoted by their colors. Only 80,000 miles in 44 years. Shouldn't it be clean, even with minimal OCI's? On a carbed engine, with (according to records) most of the miles accumulated on 1970's and early 1980's vintage motor oils, low mileage garauntees nothing. Lots of low mileage vintage motors out there that are crud factories. Looks fabulous and will run for 500k if you keep changing the oil...your truck? Those were very good engines. Looks like someone has overhauled the carb and choke well. It's been almost four decades since I used lacquer thinner to overhaul a carb. Had to be careful with that product but it sure did clean up gasoline residue. Looks like someone has overhauled the carb and choke well. I did. When I got it, the truck ran pretty poorly. It was clear that, after it's slumber, someone had been cluelessly fiddling with the carb trying to wake the truck back up. I discovered the power valve passage nearly blocked up with crud and some incorrect linkage (accel pump worked when throttle was RELEASED. LOL). Now, it starts and runs almost as good as fuel injection in any temp! 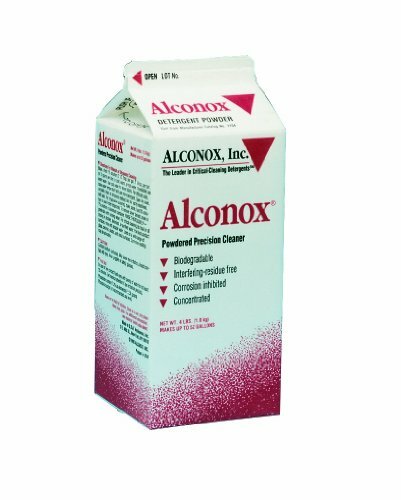 My cleaner of choice for carbs is Alconox. It's almost like magic in that it's an extremely effective cleaner but is also gentle on the equipment! I simply make a boiling pot, throw in my disassmbled carb and components, let soak for a while, remove, agitate, let soak again, blow out, reassemble. Sparkling almost like new. 80K I would expect them to be clean. I have seen some pretty nasty small blocks over the years. This is one of the best ones I have seen. Looks fantastic. yes that's great. Our '57 283 needed a rebuild at ~80,000 and it was gross inside and out. Those rockers and rocker shaft are solid, thick metal.